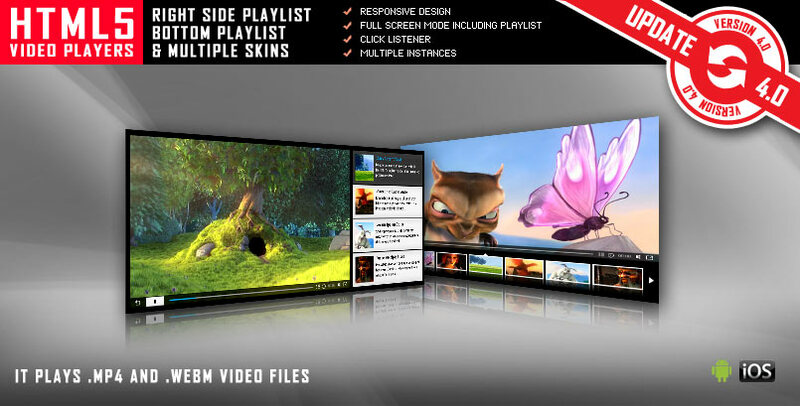 HTML5 Video Players jQuery Plugins Bundle contains 5 HTML5 plugins which cover a vast area of video players, with support for Self-Hosted MP4, YouTube & Vimeo. Universal HTML5 Video Player supports YouTube, Vimeo and Self-Hosted videos and is a top-notch responsive HTML5 plugin compatible with all major browsers and mobile devices.All you need to use is the YouTube video ID and the plugin will get these information from YouTube server. The video player also has parameters to use your own information. 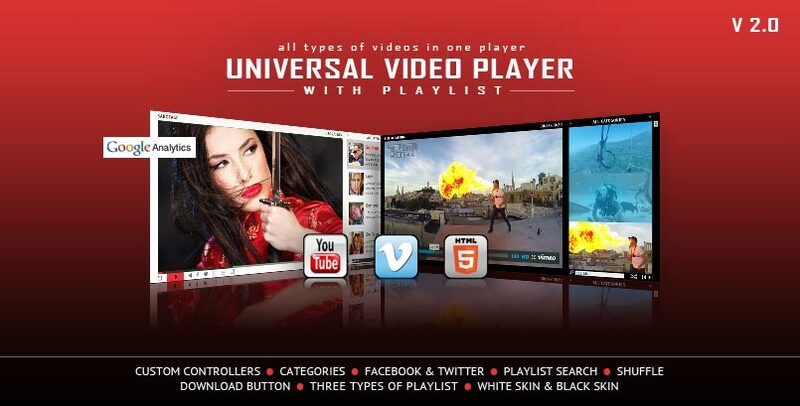 For Universal HTML5 Video Player you can show the playlist thumb, title & description or hide one of them. There are parameters for playlist size and color. 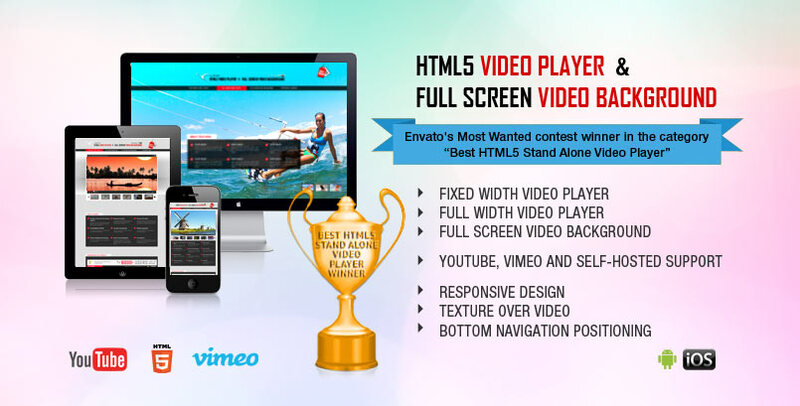 The Envato’s Most Wanted contest winner in the category “Best Stand Alone Video Player”, HTML5 Video Player is ideal if you want a video player which will support YouTube, Vimeo and Self-Hosted videos. It has the option to be also used as a Full Screen Video Background for your pages, so it will allow you to create awesome websites.